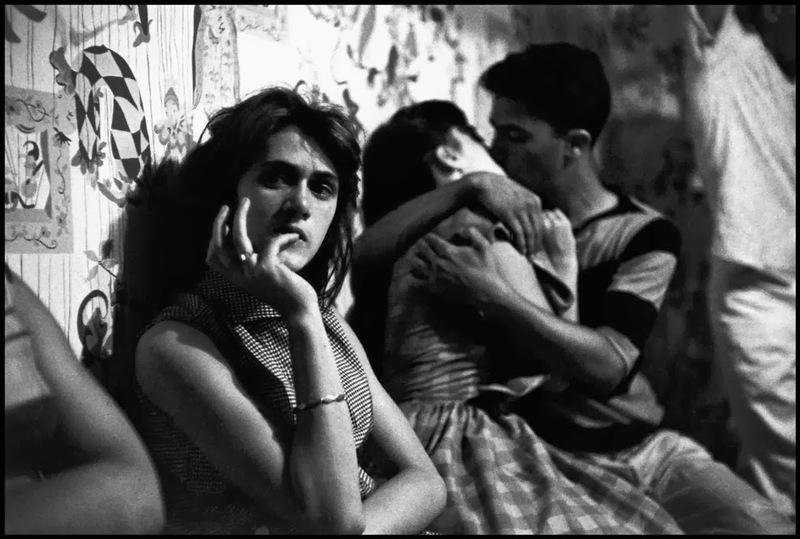 Bruce Davidson began taking photographs at the age of ten . After attending Rochester Institute of Technology and Yale University, he was drafted into the army and stationed near Paris. There he met Henri Cartier-Bresson. When he left military service in 1957, Davidson worked as a freelance photographer for LIFE magazine and in 1958 became a full member of Magnum. He received a Guggenheim fellowship in 1962 and documented the civil rights movement in America. In 1967, he received the first grant for photography from the National Endowment for the Arts, and used it to document the social conditions on one block in East Harlem. 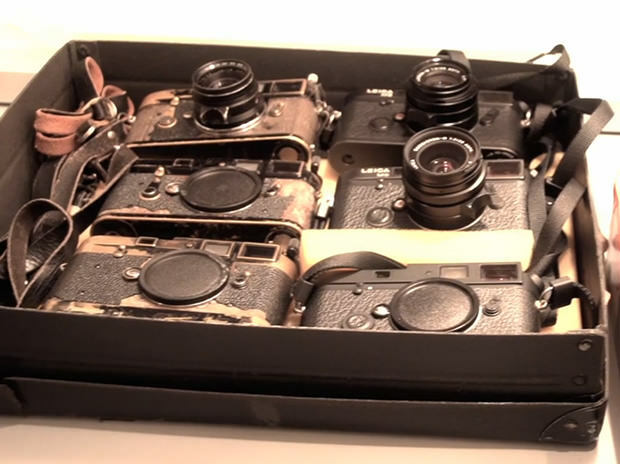 Q: Why do you like the Leica so much and why is it a great tool for what you do? …most of my bodies of work from the circus photographs in 1958, the Brooklyn gangs and even the civil rights movement, the Leica worked because it’s quiet, mobile and has excellent optics. I remember during the civil rights movement, when I wasn’t sponsored, but on a fellowship, something happened to my Leica and I called Marty Forscher, the Leica repairman for all the professional photographers. He talked me through it and I fixed the camera myself on the road — which was pretty amazing. I’d like to back up to the question “when did Leica come into your life?” It came into my life when I was a student at the Rochester Institute of Technology (RIT). At that time, in the early 1950s, there were 140 students in the photography department, including two women. Of course, I was smitten by one of them and I was trying to court her. I met her at the women’s dorm in the living room sitting on a couch. She said, “I want to show you something.” She ran up to her room and came down with this huge book of photographs called The Decisive Moment, a collection of images by Cartier-Bresson, and we sat together looking through all of the amazing photographs. I had never seen anything like it. She said to me, “I really love this photographer.” So, I said to myself, “If I could take pictures like this guy maybe she will love me too.” So, I went out and spent all my monthly allowance on a used Leica. I actually tried to imitate the imagery of Cartier-Bresson. Of course, it didn’t work. The young female student ran off with a history professor, and I was left with Cartier-Bresson. That’s what started me off. I began to take street photographs. Q: So how was it meeting Henri Cartier-Bresson when you were in Paris? A: It all started when I went from RIT to working for Eastman Kodak. I had my own studio at Kodak, but I was bored so I decided to apply to Yale. I got in and took Yosef Albers’ color course. I then was drafted into the military and was sent to the Arizona desert. It was the most remote, isolated camp you could find — 7,000 feet up in the desert. I would hitchhike on weekends to Mexico to photograph bullfighters, and I made friends with Patricia McCormick, a female bullfighter. While thumbing my way from the fort to the Mexican border, I came upon an old guy in a Model T Ford and I stopped him. The town was called Patagonia — really just a post office, a grocery store, a bar and a railroad site. And this old guy took me in and I lived with him on weekends. I forgot about the bullfighting and I just photographed this old couple with my Leica. That was my first full-bodied work and if you look at it closely today, it really predicts the way I would spend my life photographing. Q: Can you share the story about how you discovered the Brooklyn gang? A: As I remember, there was a gang war going on that was all over the Daily News. I took the subway to Brooklyn, found the group and took color photographs of their wounds and bandages for their lawyers. That started my relationship with them and the rest is history. It was slow going in the winter months, but when they went to Coney Island in the summer, that’s where I took the most pictures….I think got in with them because I had a Leica. It was small, it was quiet and discrete, and it was simple. I would take pictures of them and then I would bring the pictures back to show them. I didn’t judge them. I wasn’t a social worker. I just photographed the mood of these teenagers — a street gang. This entry was posted in Documentary Photography, Famous Leica Users, Leica Film camera, Leica Photographers, Uncategorized and tagged Bruce Davidson on December 26, 2015 by Leicaphila.